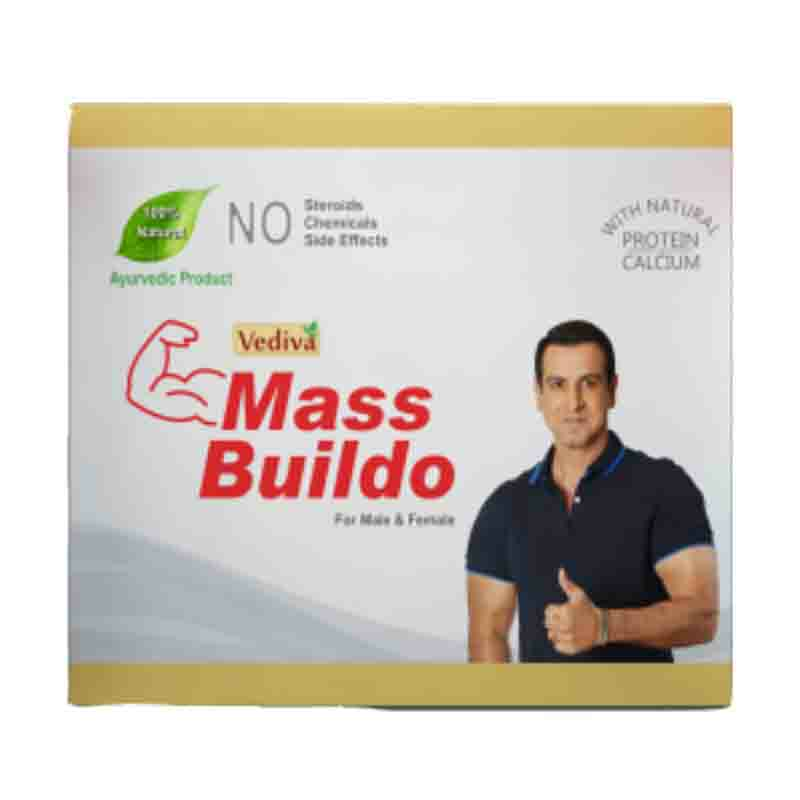 Mass Buildo Powder is a 100% Ayurvedic supplement made to help people who are looking to get into shape, get rid of the taboo of being thin and build their muscles. Not everyone is born with muscle favourite genetics and can look like their favorite WWE superstar. Some are born and grow up skinny; they have very little muscle mass. Being thin and underweight is unhealthy and doesn’t make you feel good even if your friends think that you are lucky to have a thin or slim figure, and along with it, it brings in little confidence, embarrassment, missed opportunities and more. People who are thin are always looking for ways to build their muscles. 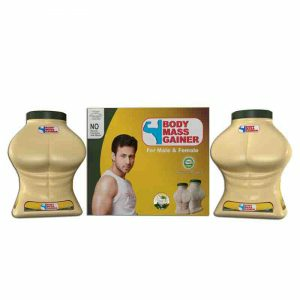 Some people are naturally thin, and it is a challenge for them to gain weight and muscles. Building your entire body muscles takes time, patience, training, and a lot of hard work. To tone, a thin body needs an entirely different approach. Along with consistent training, and exercising, your diet needs to be adjusted, and your intake of proteins and calories need to be increased which help in building muscles. Mass Buildo has got everything one needs to increase muscle mass and attain a better shape. 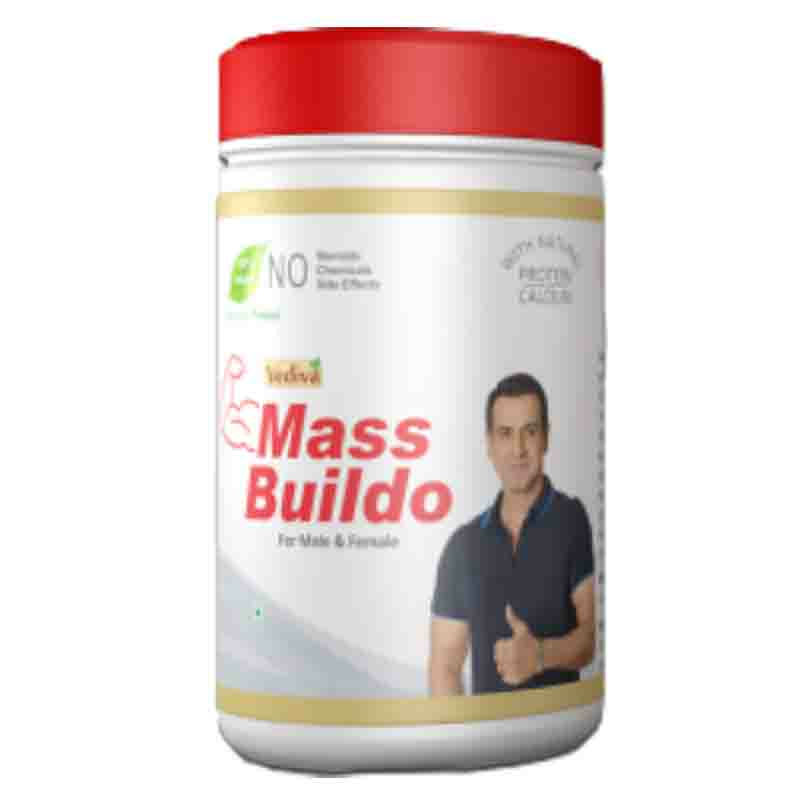 The consumption of Mass Buildo will unquestionably help you in effective muscle gain towards a positive side. 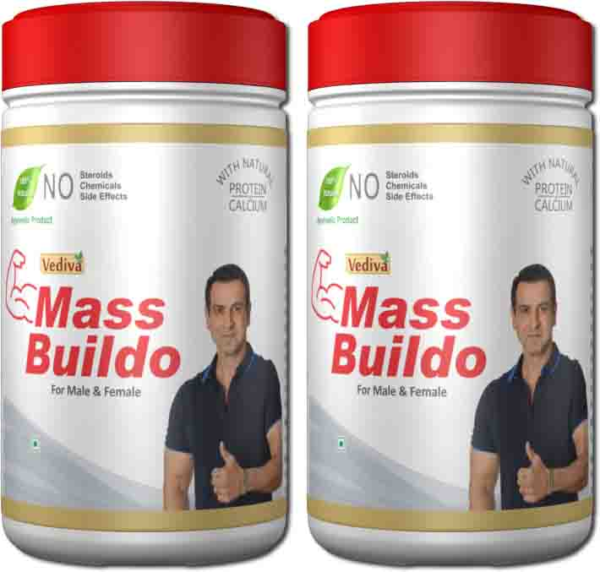 It contains ingredients like Whey Protein and Soybean Protein which have a significant amount of amino acids that are a must for muscle growth along with a number of herbal extracts; it has no side-effects, no chemicals, and no steroids. Regular ingestion of Mass Buildo gives you all the essential amino acids that not only assist you with the bodybuilding process but also speed up muscle recovery and tissue regeneration.